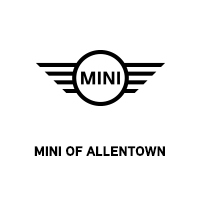 Chili Red 2019 MINI Cooper Clubman AWD I3Contact Daniels BMW directly or send a request via email to schedule your test drive today! Daniels BMW is a 12-time winner of the Center of Excellence award, making it the most celebrated BMW dealership in the nation. Silver Metallic 2019 MINI Cooper Clubman AWD I3Recent Arrival!Contact Daniels BMW directly or send a request via email to schedule your test drive today! Daniels BMW is a 12-time winner of the Center of Excellence award, making it the most celebrated BMW dealership in the nation. White 2019 MINI Cooper Clubman AWD I3Recent Arrival!Contact Daniels BMW directly or send a request via email to schedule your test drive today! Daniels BMW is a 12-time winner of the Center of Excellence award, making it the most celebrated BMW dealership in the nation. Burgundy 2019 MINI Cooper S Clubman FWD 2.0L I4 16VRecent Arrival!Contact Daniels BMW directly or send a request via email to schedule your test drive today! Daniels BMW is a 12-time winner of the Center of Excellence award, making it the most celebrated BMW dealership in the nation.